All of these people are cooler than you. Or at least that's what they think. 1. This woman casually spinning some thread in a BMW service waiting room. 2. This man minding his own business, knitting in a London pub. And his socks, and his shoes, and his iPad, and his tattoos. 4. This advert that unashamedly knows its target audience. 5. This guy who is totally rocking meggings. And "MEAT" socks, and that beard, and his colourful jumper, and every other hipster accessory under the sun. Sure, it only works on particularly sunny days when you're standing due north, but no one else has one. 8. This craft beer that's named after an impractical form of bicycle. 9. This Santa Claus of the future. 10. This guy who thinks horses are just way too mainstream. 11. This camera-shaped hip flask. So you can drink on the sly, safe in the knowledge that even if you do get caught, you will be at least on trend. 12. This scuba diver who totally keeps insisting these clothes are "oh so cosy" and worn entirely for practical reasons. 13. This guy who seems to have fashioned a bicycle out of a barricade. Is this some protest against protests against bikes? I dunno. 14. The dad who is just so over this slide. 15. This child who's cooler than you'll ever be. 16. This couple who are the definition of cool. 17. This baby who was so ahead of the curve. Fact: This cat will only sleep on Apple computers. 19. The shop assistant who did this. They must think they are soooo clever. When really they are only a bit clever. 20. This guy who put twigs in his beard. 21. This drumstick toilet roll holder. 23. 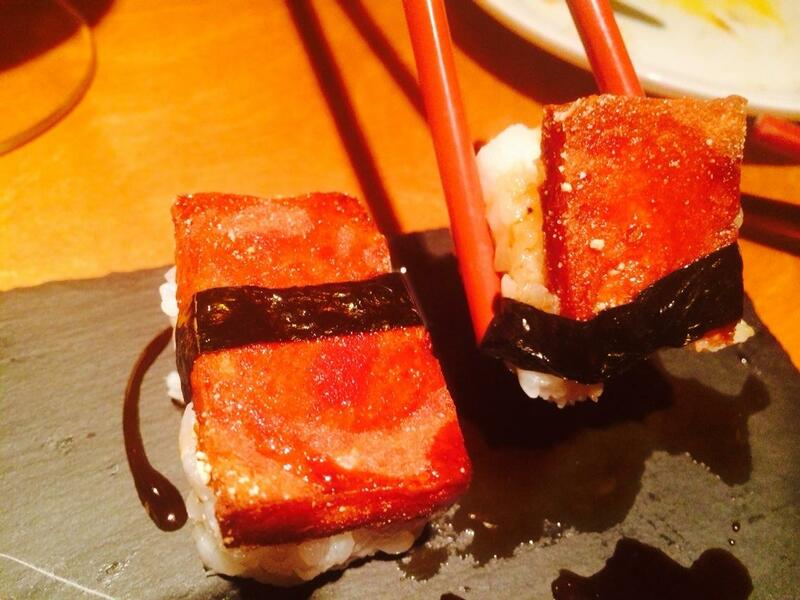 When sushi met spam and everyone in the world let out a collective sigh. Spam sushi. Only in Dalston. 26. This guy who is just trying too damn hard. 27. The time this beautifully man-bunned and tattooed couple rode a tandem chopper. 28. This poetry store, and anyone who actually bought a poem. 29. The bike lock tattoo. The petrol station worker is frozen in hipster shock. Fact: All his friends hate him now. 34. When these two beautiful men put fairy lights in their beards. If this doesn't catch on, nothing will. An earlier version of this roundup included a picture that was actually taken in 2012 that has been removed. It was still very hipster, though.